Karina's Kreations: Custom Tee Fancy Fold Card! 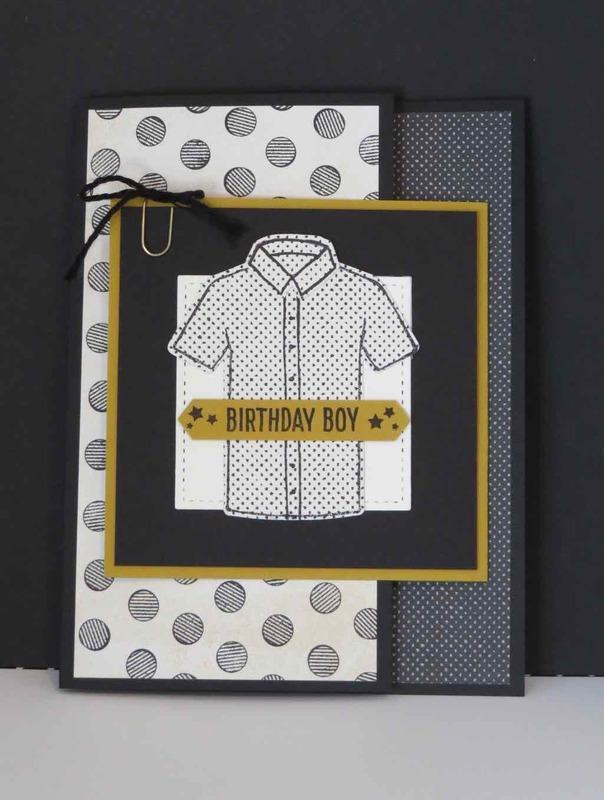 Custom Tee Fancy Fold Card! The Custom Tee stamp set and T-shirt Builder Framelits are retiring May 31 so place your order before they are gone forever. I love this bundle because they are prefect for teenager and adult cards. The Underground Designer Series Paper used on this cards is sold out however we have some new amazing Designer Series Papers coming out in the new catalog which is available June 1. If you want a catalog, stop over June 2 at my new Catty Kickoff Party/ Buy One Get One Free event on June 2 from 9:00-9:00. I would love to see you. I made a video showing how to make this card.